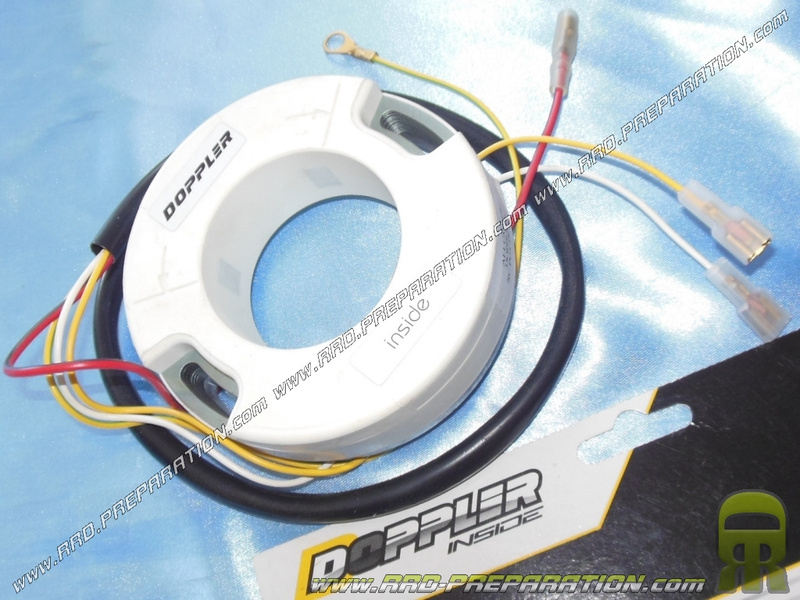 Stator replacement for your DOPPLER DOPPLER ignition and MVT PREMIUM or Digital Direct! 102,48 € 102.48 tax incl. Replacement stator for all DOPPLER DOPPLER and ignition MVT Premium Digital Direct or (internal rotor with lighting) or scooter 50cc with gear box and moped. Excellent quality and 100% waterproof! It comes standard with son and pods, it is quite possible that you have to cut your old pods to join new pods ! We sell on the website here .